Jambeaux, everyone!!! Harambe! We are talking about this list: 33 Things That Make Disneyland Better Than Disney World + GUMBO! 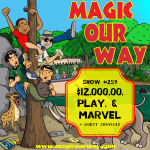 Welcome to another episode of the Magic Our Way podcast. 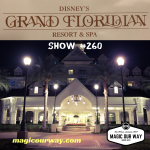 We are a New Orleans based Disney fan podcast. Thank you for listening to our show and we hope it brings a smile to your face. Your feedback is appreciated and we are committed to listening to our audience. This week in the Queue, we are talking about Princess Tiana’s Healthy Gumbo. Come on! We’re a New Orleans based Disney podcast. Of course, we are going to talk about this!!! For The Hub topic this week, we continue our discussion about a list. And, for this episode we have a big one…or two, I should say. This is part 2 of the show. Go listen to MOW #133 for the first part of this discussion. Danny’s dad found this list. 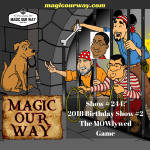 It is a list entitled “33 Things That Make Disneyland Better Than Disney World.” Kevin and Danny spearhead this discussion as they are the only ones on the show who have visited both resorts. You’ll be surprised at some of our conclusions. We know this topic will generate some options from the MOWican nation and we look forward to hearing from you.